PRL subsidiary company Shelfwatch launched its new website this week. 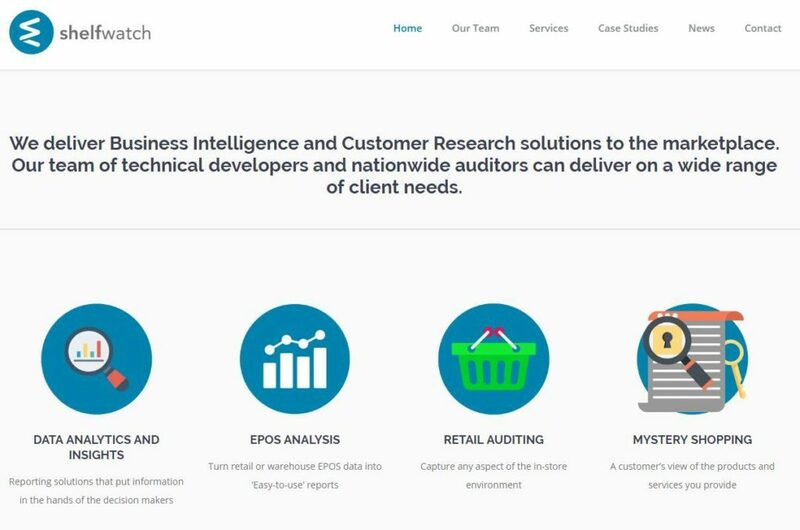 Your eyes and ears in the retail market, Shelfwatch provides reporting and insights, surveys and audits, mystery shopping and customer perception touchpoints. Designed by Go2Web, the new site aims to demystify Shelfwatch’s service offering by acting as a clear, concise and easily navigated shop window for the brand. Pop on over to www.shelfwatch.com and let us know what you think.